The following selections address the issue of truthfulness. The questions following each section can be explored in groups or by individuals. Reprinted with permission from Hillel: The Foundation for Jewish Campus Life. 1. How does one buy truth? 2. If one is not supposed to sell, from whom does one buy it? Rabbi Hiyya Bar Rav from Difti taught them: “And the people stood with Moshe from morning until evening” (Exodus 18). Does it make sense that Moshe judged the whole day? When did he learn his Torah? 1. Is it in a judge’s power to judge truthfully? 2. What does truth have to do with creation? Rabban Shimon Ben Gamliel said, “The world is sustained by three things, by justice, by truth, and by peace. As it has been stated: Speak every man the truth to his neighbor; execute the judgment of truth and peace in your gates” (Zechariah 8:16). Rav Muna said: These three things are actually one. When justice is done, truth is served and peace is achieved, as it is written: “These are the things that you shall do; Speak every man the truth to his neighbor; execute the judgment of truth and peace in your gates” (Zechariah 8:16). 1. How does Rav Muna understand the Mishnah in Values of Our Fathers? 2. Do you agree with his formula? [There are] seven things [characteristic] in someone unrefined and seven in a wise person: a wise man speaks not before one who is greater than he in wisdom, and does not interrupt his fellow; and is not hasty to answer; he asks in accordance with the subject-matter, and he answers in accordance with the accepted decision; and he speaks of the first [point] first, and of the last [point] last; and concerning that which he has not heard, he says: I have not heard; and he acknowledges the truth. The reverse of these [qualities are characteristic] in an unrefined person. 2. (K) Lord, you have been favorable to your land; you have brought back the captivity of Jacob. 6. Will you be angry with us for ever? Will you draw out your anger to all generations? 7. Will you not revive us again, that your people may rejoice in you? 8. Show us your loving kindness, O Lord, and grant us your salvation. 11. Loving kindness and truth meet; righteousness and peace kiss (confront) each other. In the creation story it says when ELoHYM introduces the idea to create man, the Torah states, “And ELoHYM said, Let Us make ADaM in Our own image and Our own likeness.” (Genesis 1:26) Note that the Name of God ELoHYM is plural and that ELoHYM refers to Himself as ;”Us;” and ;”Our;” The following Midrash identifies who God was talking to when God decided to create the first human. Lovingkindness said: Create him, for he will do acts of lovingkindness. Truth said: Don’t create him, for he is drenched in lies. Righteousness said: Create him, for he will do much Tzedaka. Peace said: Don’t do it, for he is essentially quarrelsome. What did the Holy One do? He took Truth and cast it toward the earth. Thus it is written, ;”And truth will be cast to the earth;” (Daniel 8:12). 1. 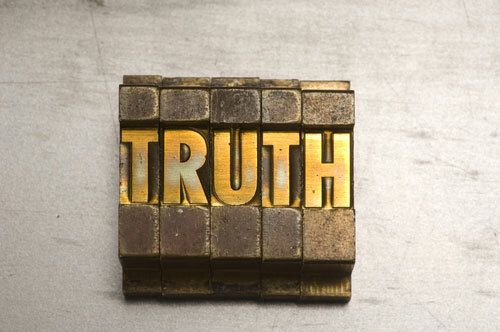 What does it mean that we consider compassion and truth to be opposite? 2. How do we understand that people are the enemies of truth and peace and the friends of compassion and righteousness. 3. What is the significance of truth being cast to the ground and then flourishing from the earth? Rabbi Ami said: The rains come because of those who keep their word. As it is written: Truth will flourish from the earth and righteousness will be observed from the heavens. (Psalms 85:12) Rabbi Ami also said: Come and see how great those who keep their word are. From where do we know this, from the rat and the pit. Rashi [the medieval Torah commentator] on this passage: The rat and the pit—that killed two people. An incident where a young man gave his word to a young woman that he would marry her. She said: Who will bear witness? All that was there was a weasel and a pit. The young man said “Let the weasel and the pit be witnesses.” Afterwards he forgot his promise and married someone else, and he gave birth to two sons. One fell in a pit and died and the other was bitten by a weasel and died. His wife asked: what has happened that our children die these bizarre deaths? He then remembered and told her this story. 1. What’s the relationship between trustworthiness and “karma” in this story? 2. What does that have to do with rain? The act of speaking an oath or a vow aloud gives it binding force in traditional Jewish law. Our spiritual leaders must always remember that the sanctity of human life should never supercede devotion to God.